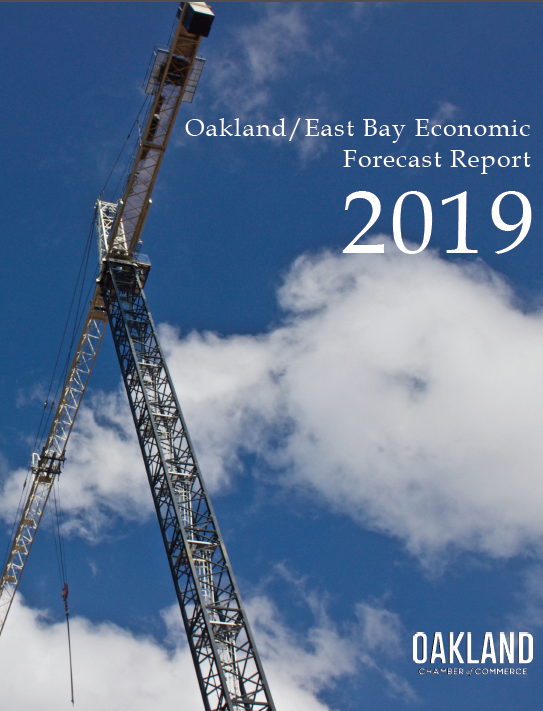 The Chamber's highly anticipated Oakland/East Bay Economic Forecast 2019 Report was released Thursday, January 24th, during the annual East Bay/Oakland Economic Forecast breakfast at Yoshi's Oakland. 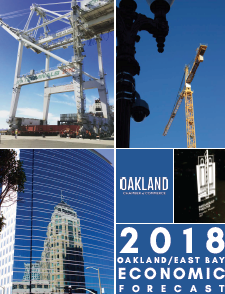 Peruse the East Bay/Oakland Economic Forecast 2019 Report. The Oakland Metropolitan Chamber of Commerce commissioned Beacon Economics to compile a report that would facilitate focused dialogue about economic conditions in the City of Oakland and the East Bay region and would present information on underlying trends in each of its seven City Council districts. The goal of this, the fourth annual Oakland City Council Districts Report, is to provide economic and demographic indicators for the City of Oakland and the disparate areas within it. This analysis is also intended to track progress, identify potential regional challenges, and provide context for the economic and policy decisions that will shape the future of the City. As an introduction to its analysis of the City of Oakland, the report presents a broad summary of economic conditions at the national, state, and regional levels. It concludes with a specific analysis of Oakland’s current economy as well as each of Oakland’s seven City Council districts. This report uses data on pay levels, occupations, educational attainment, and job requirements to provide a more complete picture of the region’s labor force. 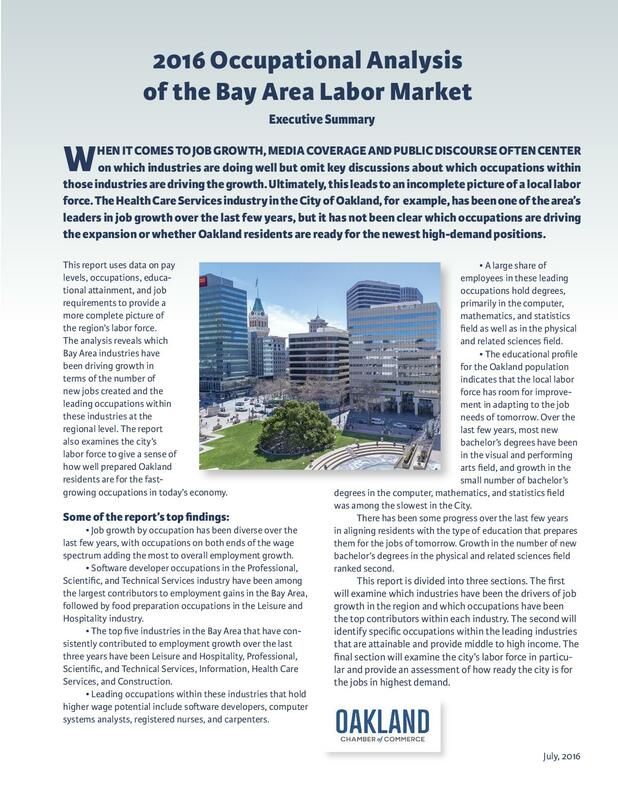 The analysis reveals which Bay Area industries have been driving growth in terms of the number of new jobs created and the leading occupations within these industries at the regional level. The report also examines the city’s labor force to give a sense of how well prepared Oakland residents are for the fastgrowing occupations in today’s economy. In 2016, Oakland Chamber worked with Beacon Economics on developing a report about economic conditions within Downtown Oakland. For the purposes of this report, Downtown Oakland is composed of three Business Improvement Districts – Downtown, Lake Merritt/Uptown, and Jack London. The analysis of the Downtown Oakland region begins with a focus on broader employment trends, and then examines a handful of business clusters concentrated in the Downtown area.